Ornamental orange trees are not just pretty, fragrant trees. 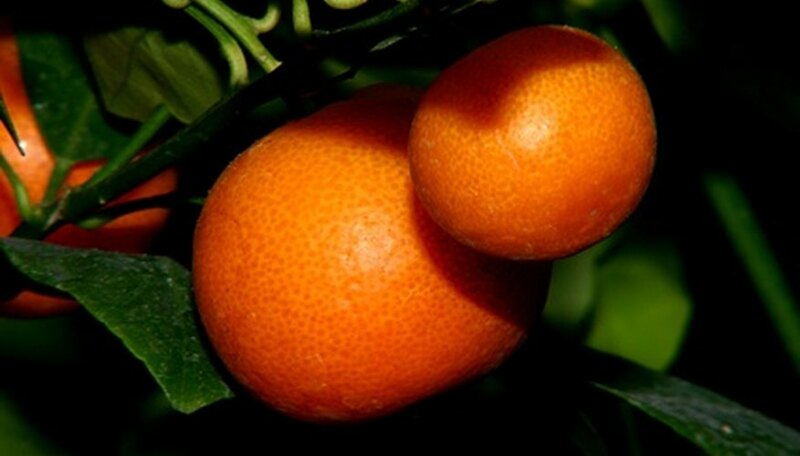 They also produce fruit, just like standard orange trees. Instead of being planted in the ground, however, ornamental orange trees are usually grown in containers as patio specimens or even grown indoors. Many ornamental orange trees are dwarf varieties, making them easier to contain in a pot. Care of ornamental orange trees is very similar to that of orange trees planted in the ground, except that you need to monitor your watering practices carefully. Fruit trees grown in containers suffer most from faulty watering practices, according to information published by the University of Florida. Pruning is not usually needed to maintain the tree's shape, according to the University of Florida, but if the canopy gets too large to support fruit development, the tree should be dramatically cut back.